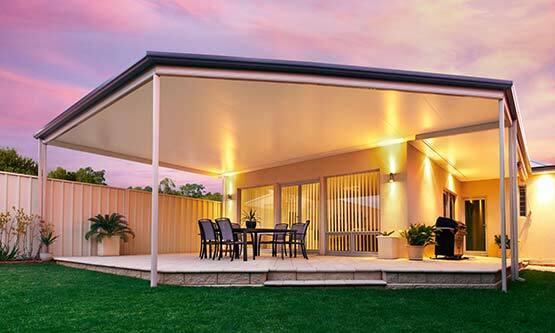 Don’t Just “Like” Your Pergola or Patio. With Perfect Patios, You’ll Fall in Love Your New Outdoor Space! When?ASAP - I need a quote fast.Next few days is fine.No rush, anytime. Every Home is Unique. 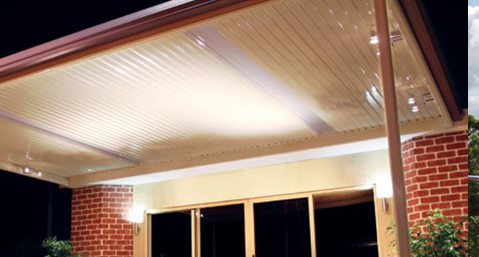 We Help You Create Custom Designs to Suit Your Home Perfectly. 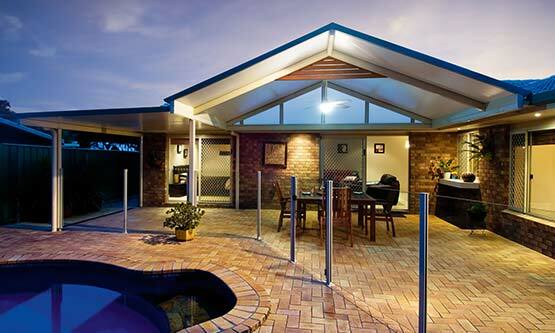 Perfect Patios are your local, family run, one-stop patio experts. 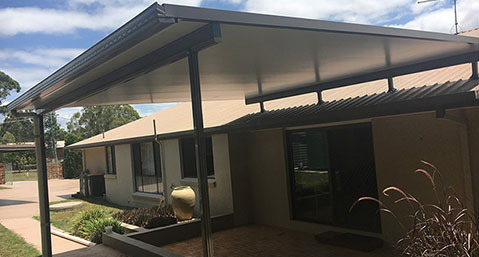 We custom design and deliver a huge range of Patios, Pergolas & Carports from flat, skillion, curved or gable, to insulated or un-insulated, flyover or freestanding, Perfect Patios work with you to ensure you don’t just like your new Pergola or Patio, you love your new outdoor space. 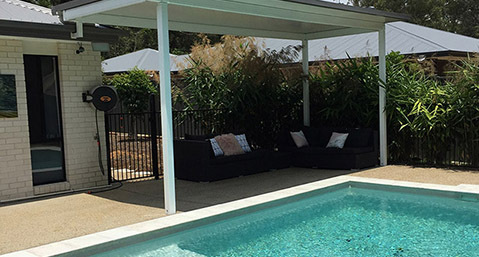 We’ll help you find the perfect option that suits your lifestyle, as we also offer a huge range of added comforts for outdoor living. 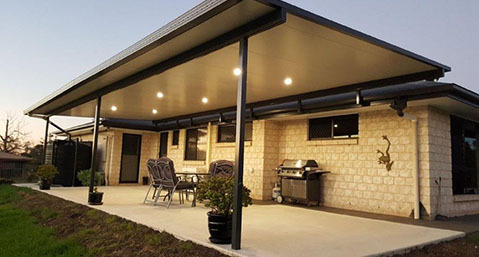 The sky’s the limit when it comes to your outdoor living options with Perfect Patios. 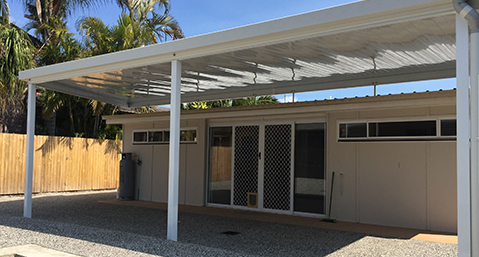 One Stop Consult, Design & Build Service. 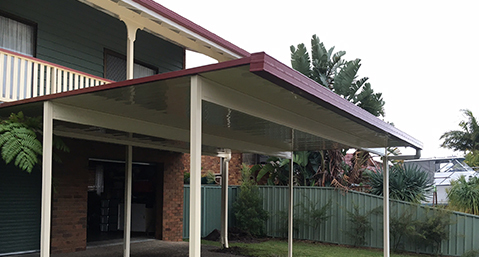 Get Your Free Measure & Quote Now! 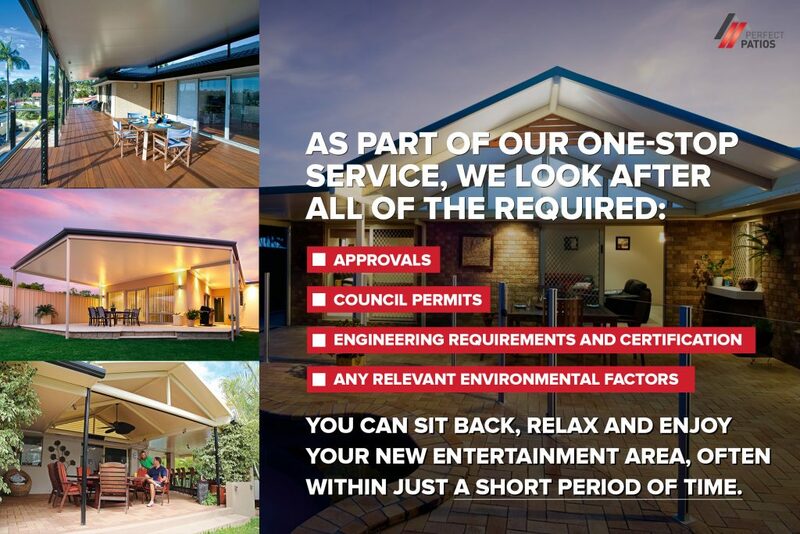 Huge Range Available & We’re The Stratco Authorised Pergola & Patio Builders. You Get An Absolutely Fixed Price That Satisfies All Engineering Requirements. No Unnecessary Delays. Already Ready for Council & Building Application Upon Quotation! 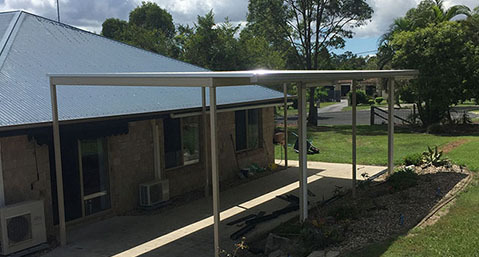 With Our Superior Design & Quotation Software, You Get The Fastest & Most Accurate Quote. Professional Plan Design Is Included In Your Quote. Know Exactly What You Are Getting. It’s Important That You Have Absolutely No Surprises. 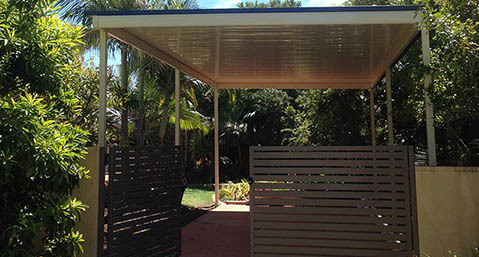 More cost effective option than the gabled roof. 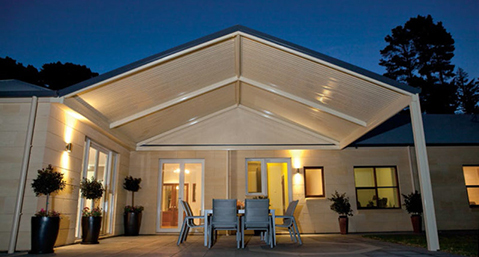 Add value and sophistication to your property. 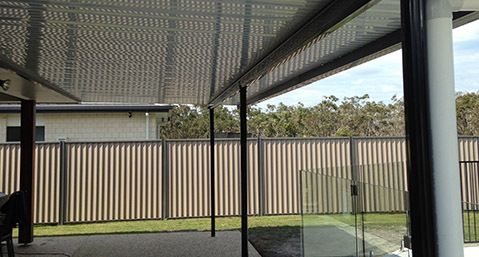 Beautiful open feel that will look amazing with your stylish outdoor area. Choose from over 20 colours to customise. 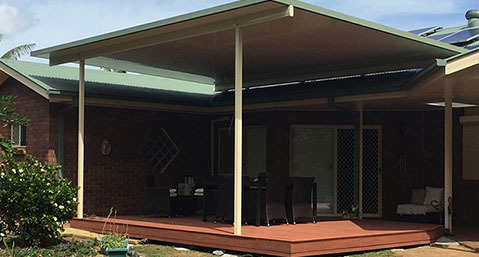 Get A Free Design & Quote from Perfect Patios. 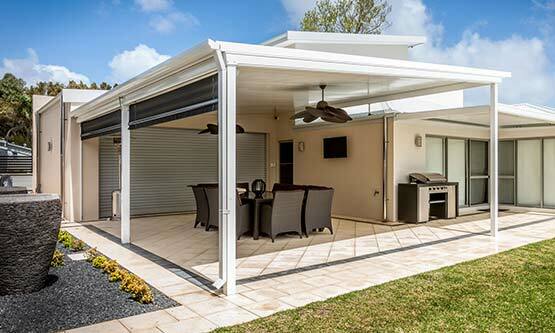 Perfect Pergolas & Patios for your home. An enjoyable process, every time! 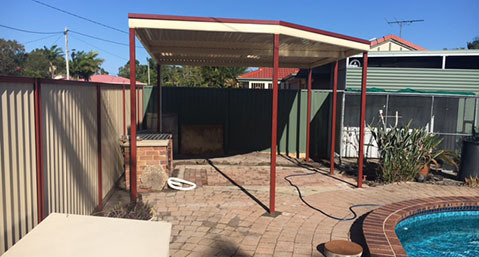 “I just wanted to thank you on the new BBQ area pergola. Such an easy exercise, from the quote ( you were the only company to get back to me) to the material drop in the right place . 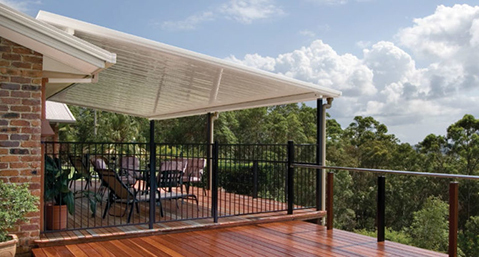 Get The Outdoor Space You Love. Discover Your Outdoor Potential. Get Your Fast, Free, No Obligation Measure & Quote. We're sorry, please try another company as we service in North Brisbane & Sunshine Coast. 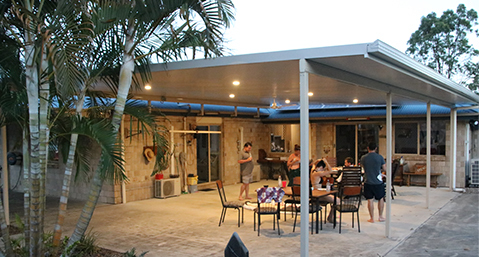 We absolutely love the finished product, and along with the new flooring and glass pool fencing, it’s such a pleasure to relax outdoors now. Not to mention the value added to our home. 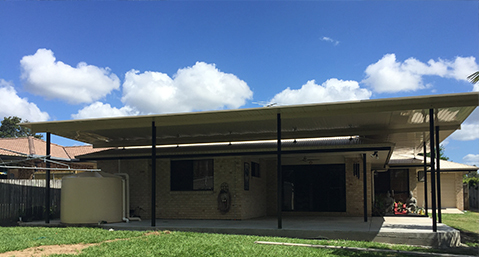 Thank you so much for your excellent service with the installation of our new patio roof recently. 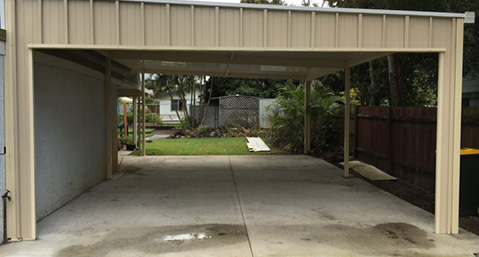 We also greatly appreciate the assistance given with the removal of the old patio roof. What a vast improvement! I just wanted to thank you on the new BBQ area pergola . Such an easy exercise, from the quote ( you were the only company to get back to me) to the material drop in the right place . Mike was a pleasure to have at the house and my wife quite liked making him a cuppa I think. All round great job . 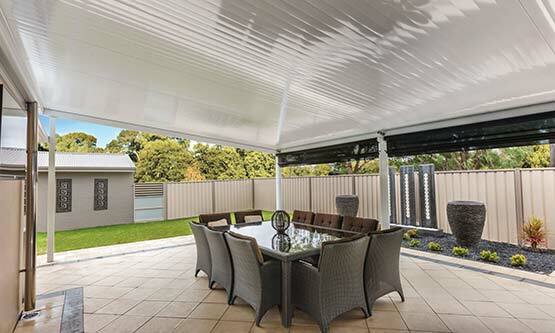 I have passed your number on to a few friends from the footy club I hope that’s ok .
“Our dealings with Perfect Patios was seamless. Brent took care of all the details and was extremely pleasant to deal with. The project ran as per schedule and we were that happy with the end result we recommended a friend to Brent for their Patio. They too were extremely satisfied with the dealings and patio Thank you. 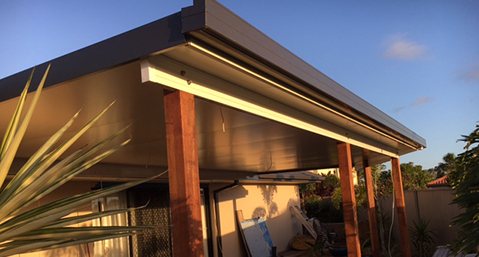 We were amazed at your competitive price, which allowed us to get the insulated roof we always wanted with the down lights, without compromising quality of product or workmanship. 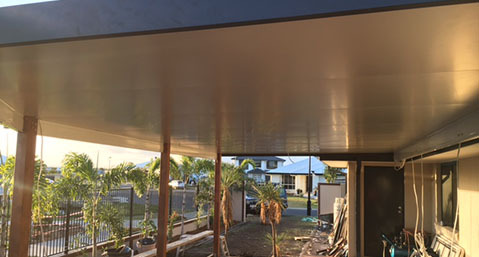 The insulated roof definitely made a big difference in the heat of the recent Summer, and visually it looked so much like an indoor ceiling. I would like to say thank you the team from Brent to the boys and narelle start to finish were fantastic. I am so happy with my patio and the boys left the area all clean and tidy so thank you . 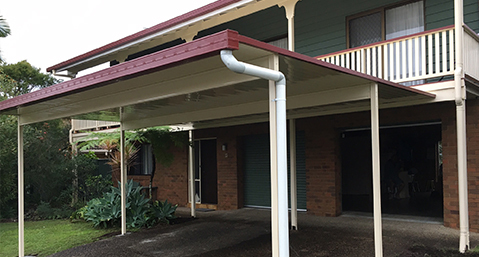 Servicing All North Brisbane, Caboolture Areas Up To Sunshine Coast for the last 21 Years! 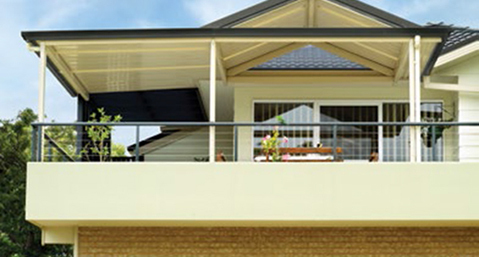 Fully Licensed & Qualified Installers. You can sit back, relax and enjoy your new entertainment area, often within a short period of time. Contact Brent from Perfect Patios Now.